Thailand’s PTT Exploration & Production wins its first Middle East project as it signs agreement with Italian energy group Eni to explore two offshore blocks in United Arab Emirates (UAE). A state-owned company of the UAE, Abu Dhabi National Oil Company (Adnoc) awarded the two blocks for an oil and gas exploration for a maximum period of nine years and an overall concession for 35 years to PTTEP and Eni subsidiary Eni Abu Dhabi. Eni Abu Dhabi will hold 70% share and will operate the concession, while PTTEP Mena, a fully-owned subsidiary of the Thai firm, will hold the remaining 30%. In 2018, PTTEP posted an 89% increase in net profit on rising oil prices and sales, paving the way for a larger investment budget for production and exploration. This new UAE investment shows the company’s eagerness to capitalise on the rising global oil prices, Phongsthorn added. PTTEP plans to have a 4% increase in capital spending this year that amounts to US$1.84 billion. The US$490 million will be invested to various projects overseas like Mozambique, Algeria and Vietnam. Manoon Siriwan, an energy expert concluded,”It’s a strategy to expand the company portfolio to have greater oil and gas reserves to increase its sales revenue at a time that global oil prices are rising”. UAE produced about 3.5 million barrels of oil per day. Although the seven emirates control oil production within its borders, Abu Dhabi has about 94% of the proven oil reserves in the UAE territory. With about 96% of its reserves and numerous stacked reservoirs in one of the world’s largest hydrocarbon superbasin, UAE continues to offer undeveloped and undiscovered potential in the oil and gas market. 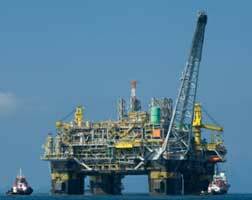 The UAE ranks seventh oil producer in the world.